The product is very much the star of Apple's ad promoting its much-anticipated (and for tech geeks, long-overdue) Apple Watch - with shots of the smart-timepiece's graceful contours and many customisable faces proving just as loquacious as mere words. The ad went live on the back of Apple’s much-publicised press event in San Francisco yesterday (9 March), which Marketing live-blogged. "The Watch is coming. 4. 24. 15", states the ad's barebones copy. 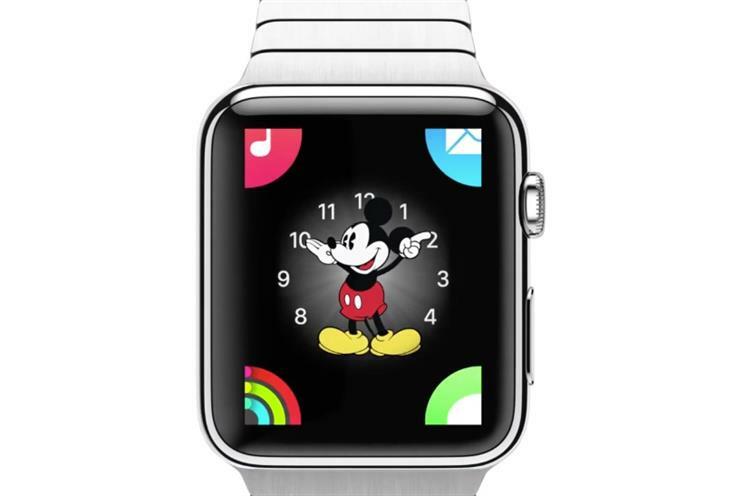 Favouring self-explanatory imagery, the ad promotes a number of the watch’s features, including customisable faces, including a Mickey Mouse fascia; fitness tracking; American Express payments; Starbucks app compatibility; and iOS notifications familiar to iPhone owners. The starting price for the Watch will be $349 (£231) in the US, rocketing up to $17,000 for one of its ‘Edition’ gold models. For those interested in delving deeper into the hype, Apple’s YouTube channel carries various videos promoting the Watch’s virtues, including a short called ‘Steel’, which explains how the high-strength alloy of stainless steel used in its manufacture "becomes up to 80% harder through a specialised cold forging process".